1This is a dealer discount. 2Not available with special financing, lease and some other offers. See participating dealer for details. 3Must qualify through GM Financial. Not available with special finance, lease, or some other offers. Take delivery by 04-30-2019. See dealer for details. 4Must be a resident of Washington DC market. This includes counties of Perry , Cumberland , Franklin, Huntingdon. See salesperson for details. 5Must own a non GM vehicle to qualify for offer. See salesperson for details. 1This is a dealer discount. 2Must qualify through GM Financial. Not available with special finance, lease, or some other offers. Take delivery by 04-30-2019. See dealer for details. 3Must be a resident of Washington DC market. This includes counties of Perry , Cumberland , Franklin, Huntingdon. See salesperson for details. 4Must own a non GM vehicle to qualify for offer. See salesperson for details. A vehicle created to perform - Thompsontown customers, examine the new Chevrolet Silverado 1500 at our dealership, Regester Chevrolet near Pennsylvania. The posh interior of this vehicle, containing all the latest features, will certainly improve your driving experience. Driver-assist features assure a great time behind the wheel. Steering wheel controls, touchscreen technology and leather seats are a handful of highlight features that you will get in its interior. Externally, the Chevrolet Silverado 1500 appears rough and tough with its box shape, chrome grills and LED headlamps. 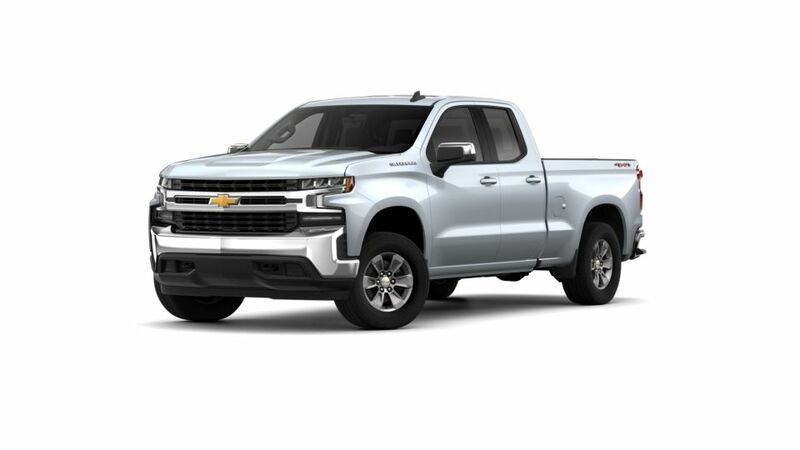 The Chevrolet Silverado 1500 includes high-end safety attributes like high strength steel safety cage, rear vision camera, collision alerts and low speed forward automatic braking, which promise maximum protection. With an efficient engine underneath its hood, Thompsontown drivers with the new Chevrolet Silverado 1500 will have no problems carrying and trailering the heaviest of loads. To ensure that you don’t get bored inside the cabin, this pickup features a good number of technologies and entertainment features such as an intuitive dashboard and a built-in Wi-Fi. Be it a drive through the town, or trip with your family and friends, the Chevrolet Silverado 1500 will be your companion. Harrisburg and Lewistown and Thompsontown buyers, test-drive the new Chevrolet Silverado 1500 at our dealership, Regester Chevrolet, and also take advantage of the best offers.